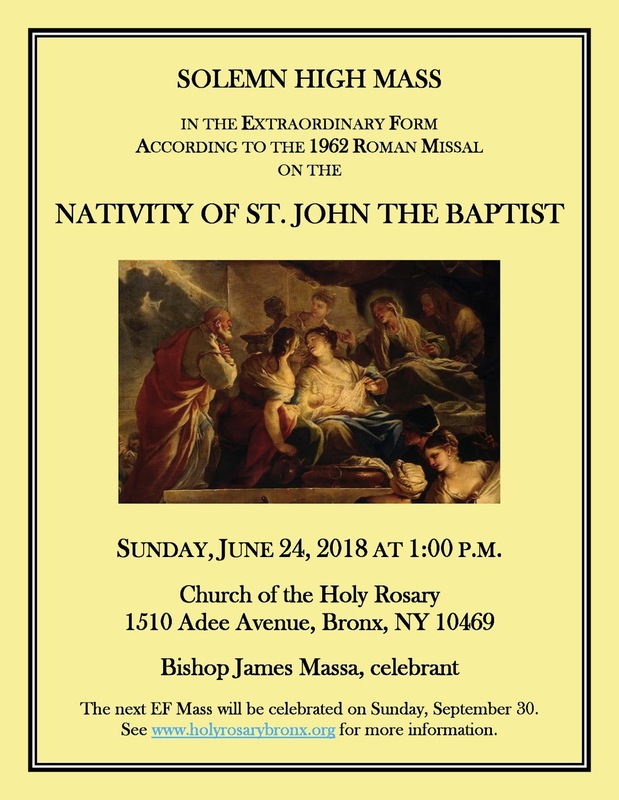 The church of the Holy Rosary in the Bronx, New York, will have an EF Mass on Sunday, June 24th, the feast of the Nativity of St John the Baptist, with music by Gounod and Victoria; the celebrant will be His Excellency James Massa, Auxiliary Bishop of Brooklyn. The Mass will begin at 1 pm; the church is located 1510 Adee Avenue. 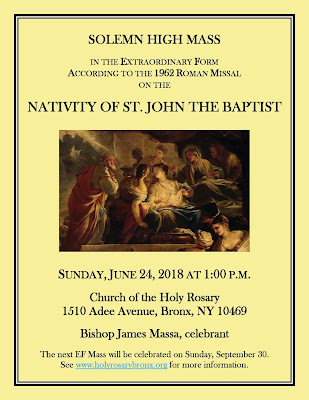 See https://holyrosarybronx.org/ for more information.